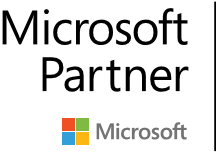 Datafortune uses Power BI to help convert several data silos into a central, go-to place for monitoring, reporting and data analytic led investigation. 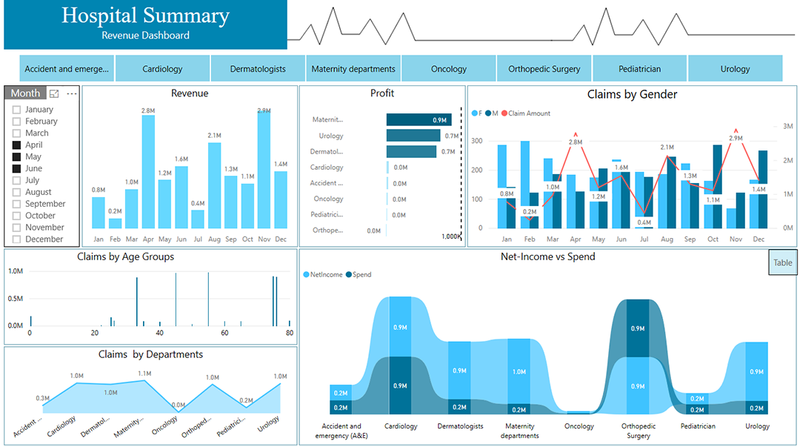 The Hospital Summary Dashboard briefs hospital management with important and necessary business insights. 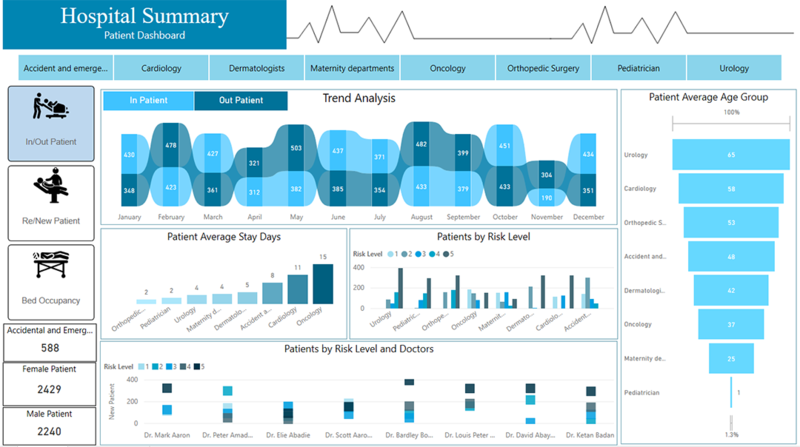 Visualizing healthcare data from multiple systems including patient records and billing software, can allow hospitals and other healthcare organizations to correlate metrics and uncover areas for optimization. 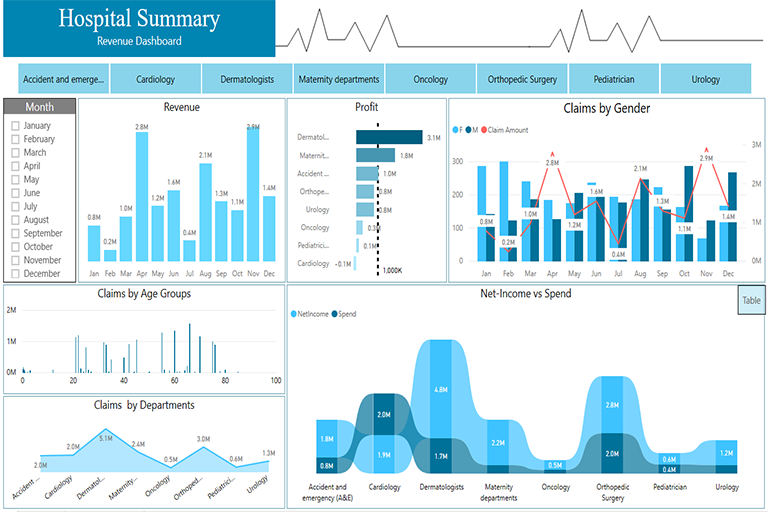 Using Power BI, Datafortune took multiple sources, formats, and tabular data and transformed them into dynamic, interactive visualizations that allow users to discover insights leading to better decisions regarding monitoring, problem solving and ultimately investment. 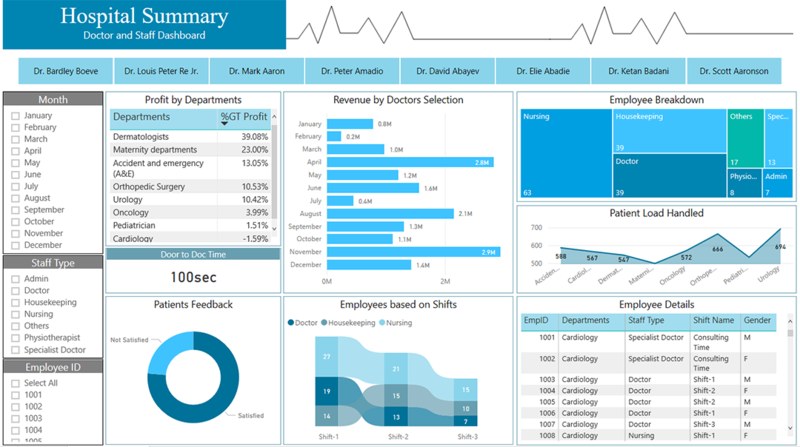 Using Power BI, Datafortune have transformed several unconnected and low quality data into a strategic asset, empowering users to make informed and confident decisions about their Hospital.